As the years go by the wrestling world sadly loses more of its star performers and it is never sadder than when a great grappler is taken from us because of a terminal illness but that has happened again and what makes it more heartbreaking for everyone is that Drew McDonald has passed away at such a young age. Born Charles Shaw in Perth, Scotland in 1955 little did anyone know that twenty five years or so later he would be a wrestling star known not just around the United Kingdom but around the World, Drew McDonald was a big man with a big heart and whether he portrayed the 'goodie' or the 'baddie' in the ring he did so with the utmost perfection. 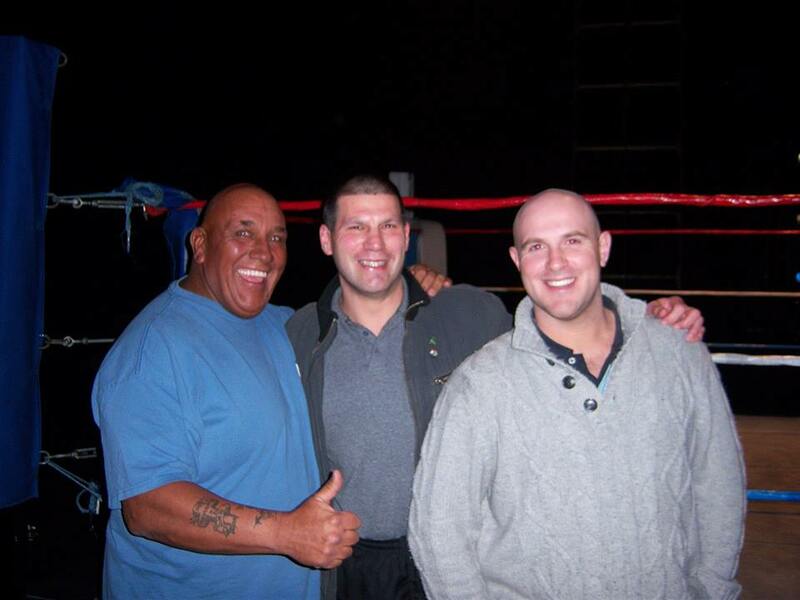 After a stint in the Scots Guards, Drew McDonald first got interested in the wrestling business when a friend of his who ran a school in Perth was promoting a wrestling show for charity. One of the wrestlers who was due to appear on the show got injured a few weeks before the show was due to be held and so Drew agreed to stand in for him. At this point Drew had received no wrestling training whatsoever and he had a two week crash course by former wrestler Ian Law who himself had been a contender for Johnny Saints World Lightweight Championship in the late 1970s as well as having a feud with Rollerball Rocco. 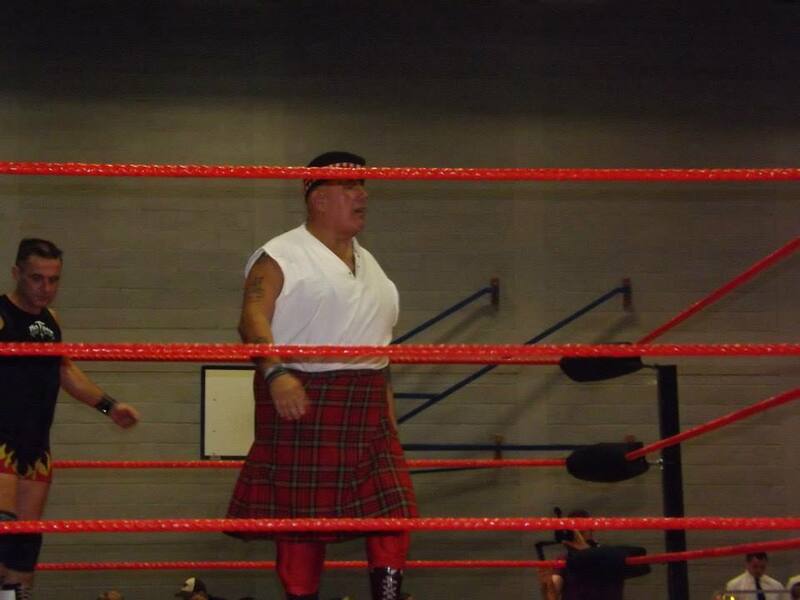 After the two week intense training Drew stepped through the ropes for his first professional bout against fellow Scot and international wrestler Wild Angus. This was an exceptionally hard bout for anyone let along a novice in the ring and whilst Drew proved his worth he lost the bout but did last five rounds with one of the UKs great heavyweight stars. Drew continued to wrestle in Scotland gaining more experience all the time and he was soon a familiar face around the halls of Glasgow, Edinburgh, Perth, Aberdeen etc. However, in 1984 the call came from Europes number one promoters, Joint Promotions, asking Drew to join them as they had been watching him in action and saw great potential. Drew jumped at the chance to wrestle for 'the big boys' and was soon wrestling under their banner. It was no easy ride for Drew as he was thrown in at the deep end having single bouts against the likes of Giant Haystacks, Ray Steele, Dalibar Singh, Johnny Wilson and Mal Kirk. On the 11th April 1984 (broadcast on the 28th April 1984) Drew was to be given his first taste of television exposure when in a bout filmed at Lichfield he opposed Jack 'Flash' Shirlow. Drews next televised appearance was to be on none other than FA Cup Final Day, very few wrestlers ever got the opportunity to grace wrestlings 'big day' yet Drew had managed it on only his second outing on ITV. 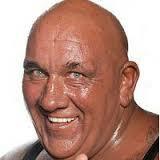 In this bout Drew tagged with Big Daddy whereby they took on the remarkable team of Giant Haystacks and Fit Finlay. This bout certainly made Drew a household name, appearing in the same ring as three of the biggest names in British wrestling history put Drew well and truly on the wrestling map. Over the next year Drew would continue to tour the UK wrestling all comers. However, his national television exposure had also brought him to the attention of the foreign promoters and it was not long before Drew was joining many other of the UKs top wrestlers in touring the World wrestling for such renowned promoters as Stampede Wresting in Canada (where he wrestled under the name of Ben Doon McDonald) as well as wrestling for the Catch Wrestling Association in Germany and Austria as well as other promoters around the world. 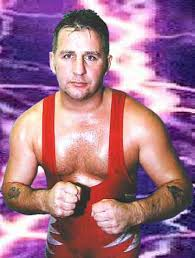 On returning to British rings in 1986 Drew curtailed his solo bouts and entered into regular tag team bouts against his one time tag team partner Big Daddy. 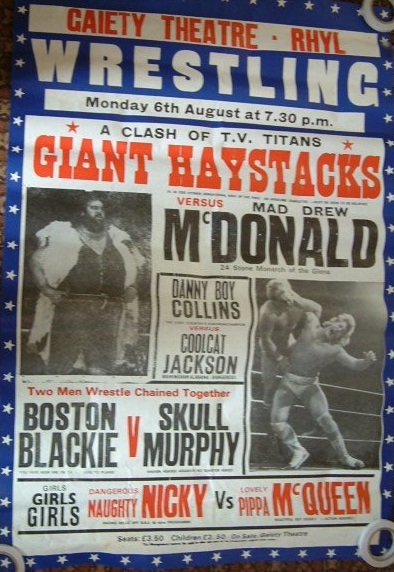 Drew alongside such partners as Giant Haystacks, Mal Kirk, Scrubber Daly, Sid Cooper, Red Ivan, Bully Boy Muir etc took on Daddy across the country. 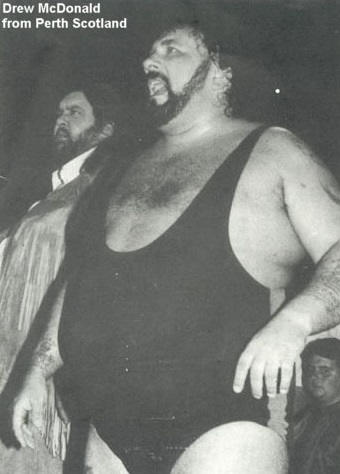 During this period Drew was referred to as Mad McDonald and Comrade McDonald and at one point even donned a mask where he wrestled under the name of The Spoiler. It was in a bout with Daddy that Drew would lose a 'hair versus hair' match which resulted in him having his head shaved in front of millions of television viewers. During this time, Drew was accompanied to the ring by Dr Monika Kaiser, a no nonsense ring manager who was not afraid to tell it like it was. Infact Drew and Monika were a 'real life' couple and remained so up until his very sad passing. Drew continued to feud with Big Daddy up until the demise of ITV wrestling when Drew would leave Joint Promotions and joined All Star Wrestling wrestling under the name of the Ultimate Chippendale and forming a tag team with Dale Preston. This is where Drew had championship success as he secured the British Heavyweight championship on two occasions, the first was in March 2001 when he was awarded the title by the Wrestling Alliance but lost it to Justin Starr in July of that year. Drew regained the title in June 2005 when he defeated Robbie Brookside at the Fairfield Halls, Croydon but lost the belt in January 2006 to Steve Sonic. During this period, British wrestling was going through what could only be described as its worst period ever, but despite this, Drew was still in high demand and still attracted a good crowd whenever he appeared and continued to wrestle throughout the UK for various promoters. Drew was now a legend of wrestling and spent a lot of his time giving back years of his in ring experience to the next generation of wrestling stars. His amazing legacy was the ability to cross the divide between young and old, the proof being in the many tributes being received from todays generation of stars such as Greg Burridge, Erin Angel, Martin Harris, Jimmy Meadows, Ringo Ryan, Rocker Richards, Kris Kay, Nick Aldis, Leroy Kincaide, Paige, Kerry Cabrero , Marty Scurll, alongside established older legends lifelong pal: Robbie Brookside, Triple H, William Regal, Dave Fit Finlay, Klondyke Kate, Dave Taylor, Keith Myatt, Bob Barratt,Tony St. Clair, Johnny Kincaid,Sweet Saraya- Julia Hamer Knight, Ricky Knight, Mal Sanders, Billy la Rue, Johnny Kidd, Steve Grey, Johnny Saint,Tarzan boy Darren, Nigel Hanmore (Tommy Stewart), Bobby England, Johnny Palance,Mitzi Mueller,Chic Cullen, Colin Joynson, Danny Boy Collins, Julia Ward, Keith Martinelli Kevin Maddog Richmond, Tarzan Darren Ward, Nipper Eddie Riley, Wayne Bridges, Marty Jones, Banger Walsh plus Promoters Brian Dixon through Letitia Allmark, 'Judo' Al Hollamby ,Scott Conway and even Vince McMahon, head of the WWE, to name but a few. I´ll never forget your tribute when my son, Justin , passed away,. Now it´s my turn to pay tribute to you. 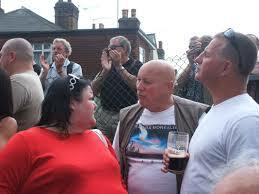 You tried to convince us all that you were a nasty, loud mouthed, beer swilling fool. But we all saw the truth. You always had time to listen to other peoples problems, you loved your family and you were happy to spend night after night making other wrestlers look good. 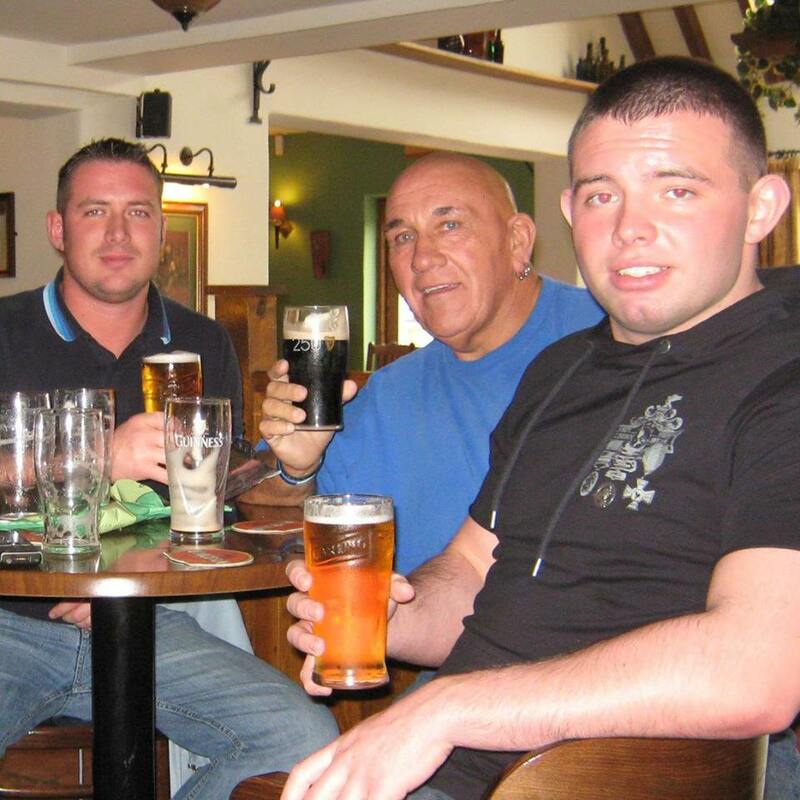 Drew, my friend, it was a pleasuse to have known you, to drink a beer with you, to wrestle you. AYE LADDIE we will never forget you. Rest in peace Drew McDonald - Heartbreaking. Every wrestler that ever met you will be feeling this, and have a story or 3 about the times they shared with you. Unforgettable in the ring and every more out of it. Drew was the 1st wrestler I ever met and learnt from at Scott's TWA training...I later had the privilege to do many of the Ireland tours with him - I remember one time Orig had James and Tagori as two people - and advertised a 6 big man tag - not realising until we were there - I ended up being the 6th man and got to work with Drew every night! To this day its one of the best times I've had in wrestling - What a privilege. I wasn't going to write anything about Drew yesterday as I was too busy grieving and I'm sure he and everybody knew what I thought of him, but I just feel I have to. 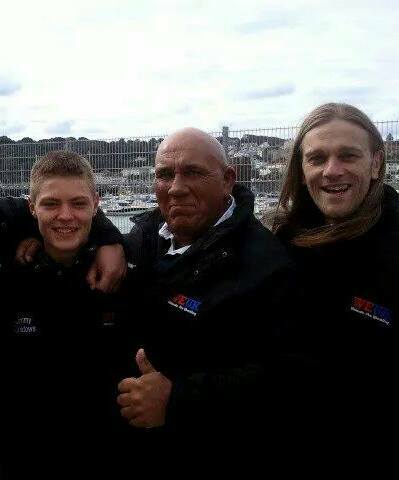 I read some really nice messages yesterday on facebook and the amount of pictures of him that were uploaded was heartbreaking, half of the people on there I'm convinced haven't even met Drew, yet that shows how great a character he was and the impression he left, if that many people are devastated despite that fact. He was one of my best mates in wrestling, he was somebody I looked up to so much and could even say wanted to be like, a mentor in the way he would sit there and explain how this job works, he taught me how to wrestle through my face, wrestle through Injuries, he taught me how to tape my knee up properly and many many times he would teach me how to drink! He also taught me there's two types of lads in this job "one of the boys" and "not one of the boys"... Drew was the ultimate "one of the boys!" But more than That he was a great mate! That helped me out loads and some of my funniest memories around wrestling involve him, the word legend is overused these days but this man is the definition of a legend. What I'd give just to have one more drink in the Battlecruiser with him again. 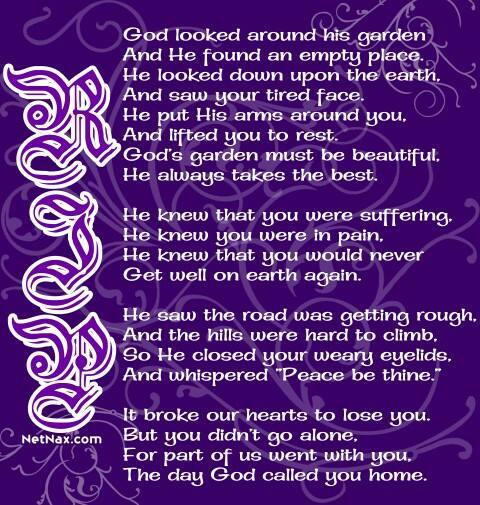 You will be missed laddie, but never will be forgotten! 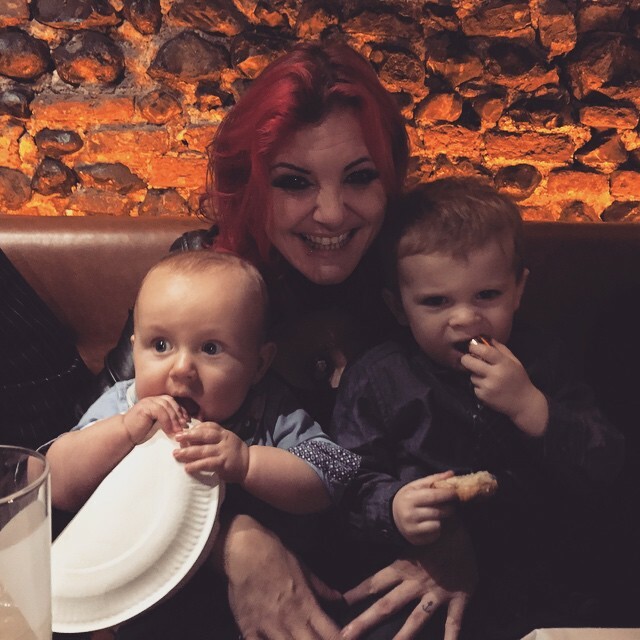 Close friends and colleagues : 'Rowdy' Ricky Knight,ladies wrestling Champion and wife Julia Hamer Knight- Sweet Saraya, Sons Zak and Roy were so devastated at the news that they were lost for words, choosing this poignant poem instead to express their feelings for the big man. Daughter Paige who is now a WWE superstar chose a pictorial memoir, which was shown to 3 million at a WWE screening. 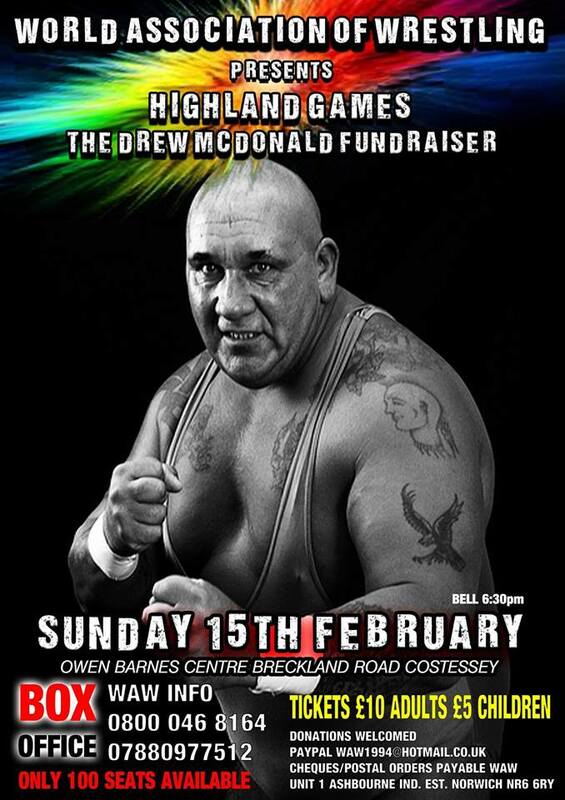 On Sunday the 15th February, the family will be holding a fundraiser Show under their famous WAW banner and we urge everyone to support this wonderful gesture. Here is another special and moving tribute from his old friend and fellow Scottish Legend : FRANK 'CHIC' CULLEN, who now resides in Canada but wanted to pay homage to his great pal. Tributes continue to pour in from wrestlers world-wide, young , old and fans alike, proving just how popular this awesome athlete was and what a mark he made on everyones lives. 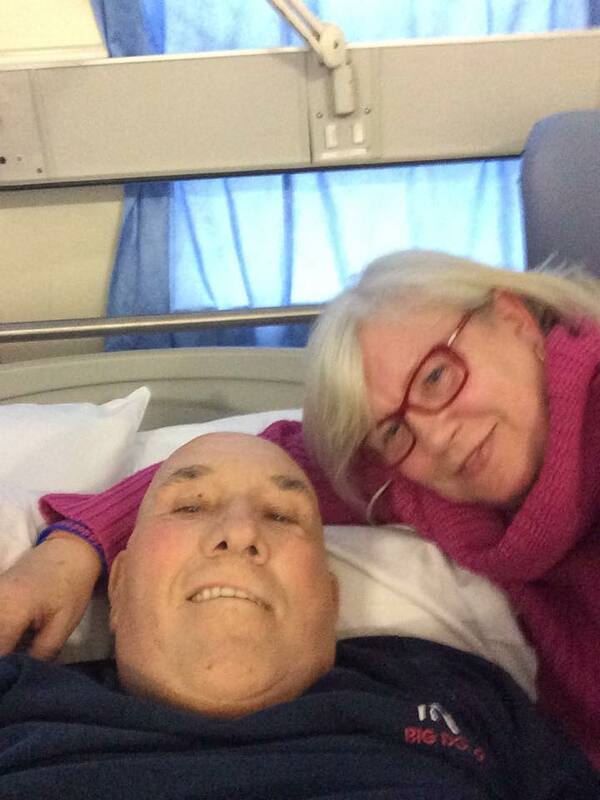 Drew McDonald had many battles in his career but this was one that he was not able to win and he passed away on Monday 9th February 2015 with Monika at his bedside. Drew was a legend of British wrestling, he will always be remembered by those who were privileged to know him privately or as a wrestling star, he entertained fans the world over, a great man, a great wrestler and one who was a credit to himself and the wrestling business as a whole. As you all know drew left me yesterday at 17.25.I was angry....he promised me he'll never leave me. But then again some promises he didn't keep.....he still owes me a pair of white stilettos I won when I beat him at clay pigeon shooting 30 years ago. Ok, I might have cheated, he didn't know that I used to have a rifle range and was a flipping good shot. You all know what a sod he could be, bless him, he always thought I didn't know. I always did. And he always came home. I never asked questions and he didn't have to tell porkies. I think that's one secret that we had so many years together. I left him his illusions, but I could read him like a book. And a very funny book it was over the years. I enjoyed reading it and if I could I would read it over and over again. But my beautiful drew is gone, he couldn't win his biggest fight. But now he's up there partying with and charming the Angels. Thank you my love for love and laughter, sorrow and you bricking it when I stopped to be calm. Sleep tight my angel, and keep watching over me and protect me as you've always done.